Taiwan component and computer manufacturer Asus has launched its ROG Maximus IV Gene-Z/Gen3 and P8Z68/Gen3 series motherboards. 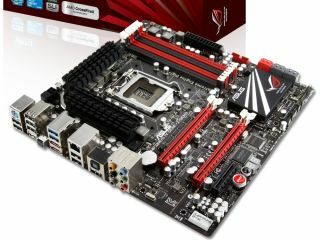 The motherboards are said by the company to be the first in the industry with "genuine compatibility for PCI Express 3.0 support." PCI Express 3.0 is the latest upgrade to the popular add-in card format, and boosts performance from 16GB/s to 32GB/s via the same 16x physical connection. This requires an upgraded set of components, such as PCI Express 3.0 switching integrated circuits. The motherboards also pack future-proofed hardware and UEFI BIOS support for Intel's upcoming 22nm processors, while being backwards-compatible with PCI Express 2.0 hardware. Asus says it's "committed itself" to a quality assurance process before shipping its motherboards, in order to ensure everything works as it should. Asus' latest motherboards also include all the bells and whistles we'd expect, such as four SATA 6.0 Gb/s ports, eight-channel audio, Bluetooth 2.1 and 12 USB 2.0 ports. In addition, Asus has announced that more than 80 of its current non-SLI motherboards can also take advantage of PCI Express 3.0 and Intel's 22nm processors - presumably in a more limited capacity - thanks to a BIOS update.